The Mad Rock Drone HV is a high-performance shoe designed with comfort in mind. Performance-grade stretchy materials in all the key places mould to the foot's shape, eliminating any dead spots and pressure points your unique foot shape might produce. 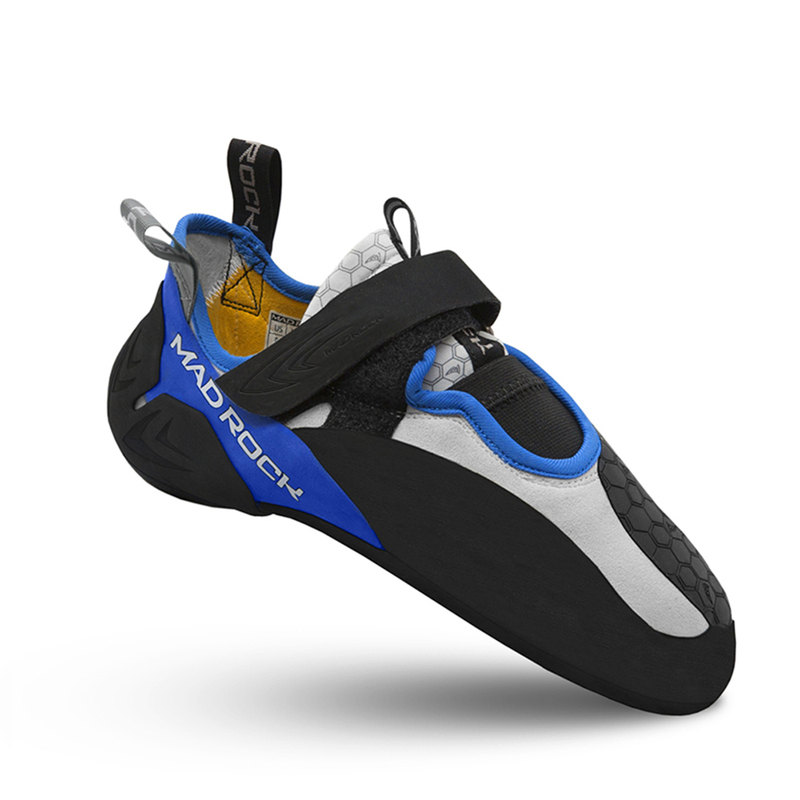 Noticing that the heel seems to be a problem area for a lot of climbers, Mad Rock's new Expandable Edge Heel design will stretch to fit most heel shape's and sizes so you can size the whole shoe correctly. 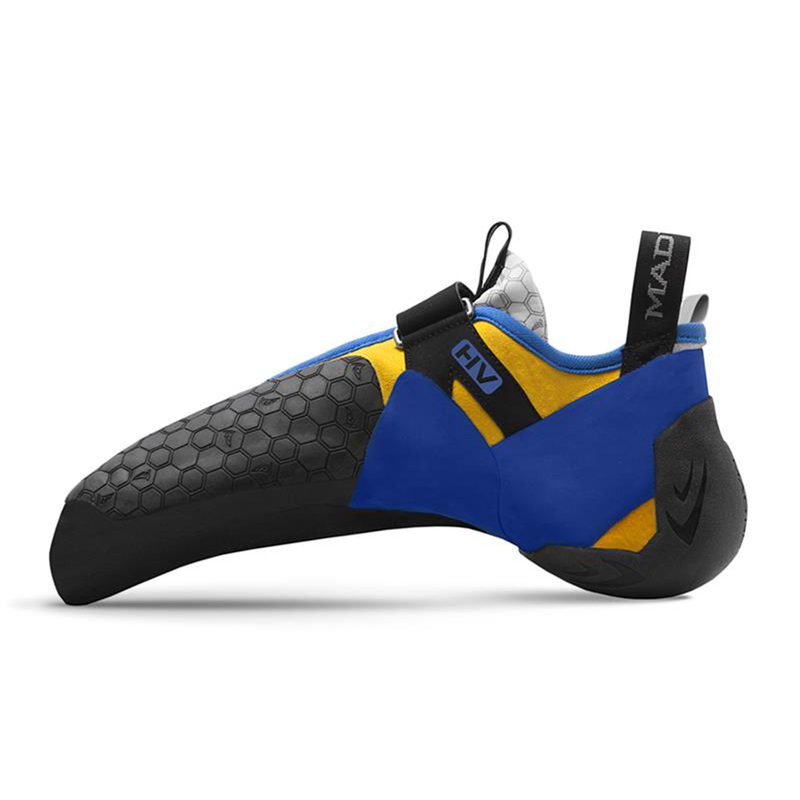 This shoe's aggressive shape will be ideal for anything overhanging, from hard sport climbing to bouldering, but its high comfort will keep your feet happy for much longer on longer routes or big days. • A full midsole that connects to the 3D molded heel transfers power all the way from the tip of the toe to the back of the heel. • Super sticky climbing grade rubber is used for maximum toe hooking power. • 3D moulded expandable heel design allows for a better fit with a wider range of heel shapes. • Breathable and stretchy tongue to give you that snug but comfortable fit. • Thin and stretchy R2 rand rubber is used to get rid of the dead space most climbing shoes have in the arch area. The latest innovation in Mad Rock's long-standing rubber formulas boasting the highest performance characteristics yet. Not only is it more durable through increased tear strength, Science Friction 3.0 also has a higher level of friction. Ideal for every type of climbing. 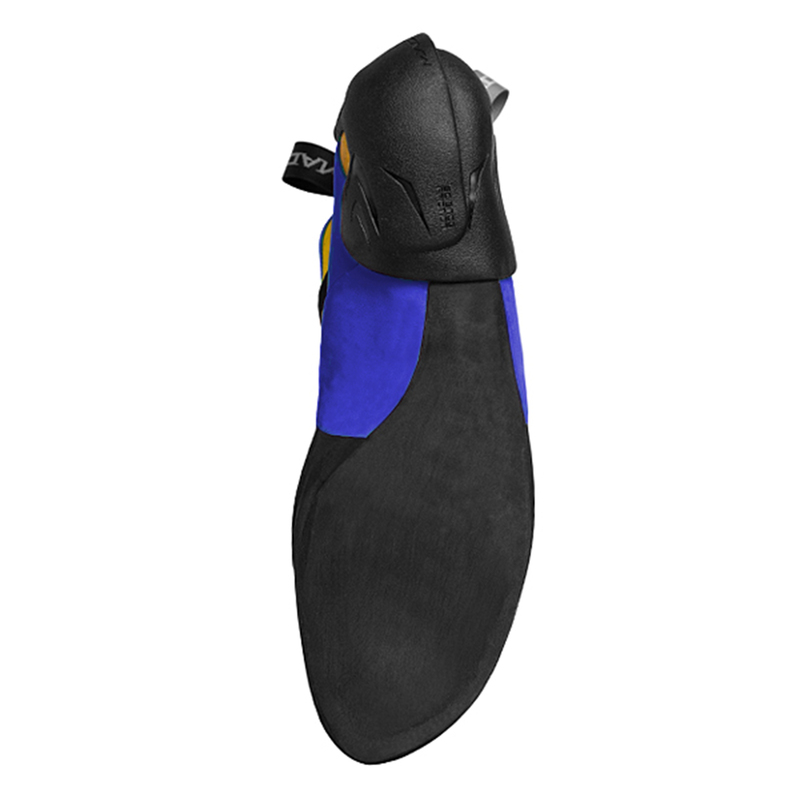 The heels have a step cut into the side of them which is great for heel hooks where you kinda roll your foot out, especially on an edge because it really locks in. 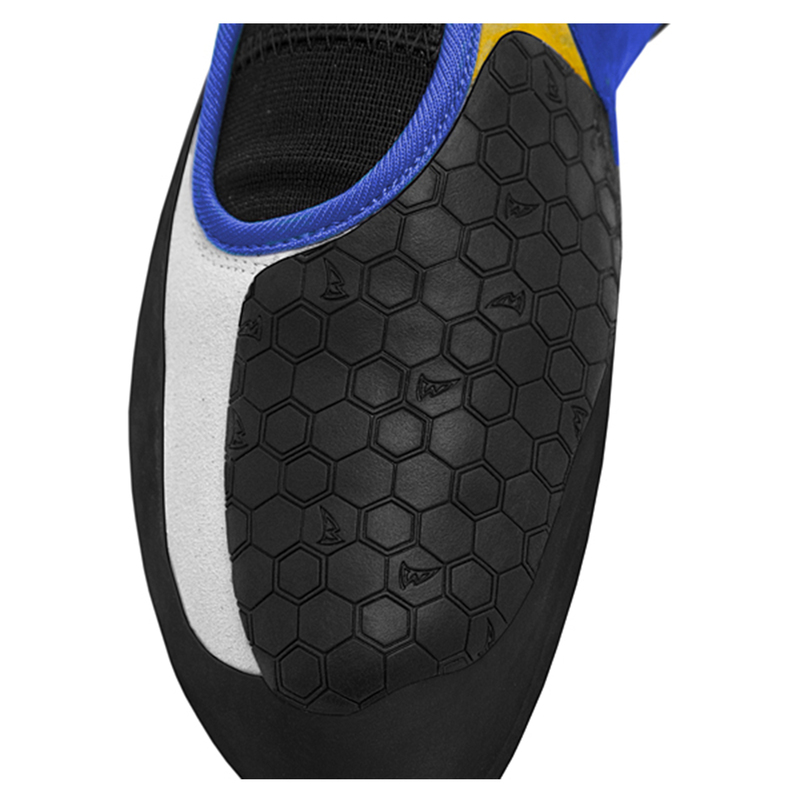 The toe patch is massive like the Mad Rock sharks (also a good shoe) meaning you can toe hook pretty much anything. The ‘science friction’ rubber is super sticky too, helping both of the above. It’s so sticky you could probably forget about foot holds and just smear up the wall. I only wish I could have gone maybe a half size down to UK 5 as there is a little space in the toes but for supposedly high volume shoes I found them pretty snug even though I have narrow feet. The heels fit really well, no dead space and they are weirdly comfortable for downturned shoes. If it helps; I am a UK size 5 in Vans/street shoes, 5.5 in Mad Rock’s shark and redline, 7 in Fiveten dragon and 6 in Evolv Agro. a good soft shoe, the heel is quite shallow, and not as good as in redline. Toe hook is brilliant. half the size smaller than the approach shoes, they are well-matched. The hv version is still very narrow at the front.